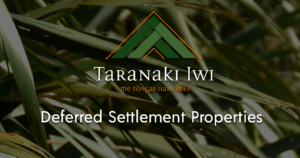 Te Kāhui o Taranaki are hosting an information hui in regard to Taranaki Iwi uri expressions of interest in the purchase of the Deferred Settlement Properties (DSPs). The aim of the hui will be to give interested uri an opportunity to gain more information about the DSPs available, the acquisition process, and the chance to ask the team questions relating to the DSPs. In 2011 the Claims Leadership Team negotiated for all Crown-owned sites to be transferred back to Taranaki Iwi at no cost. The settlement provided for the vesting of 29 Crown-owned sites to Taranaki Iwi on settlement date at no cost. Taranaki Iwi have until February 2019 to purchase lands the Crown owned but would not transfer at no cost. These sites are called Deferred Settlement Properties and to access them we need to buy them from the Crown. There are 15 sites remaining in the DSPs. 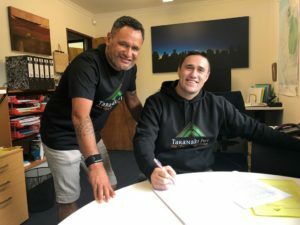 Registered Te Kāhui o Taranaki members (“Uri”), to purchase the DSPs. Te Kāhui are choosing to do this, it is not required. At the Taranaki Iwi Marae Pā meeting on 25 November 2018 the DSP process to offer properties back to our uri as a first right was discussed in full. This process was then formally activated on the 7th Dec 2018 with a letter and accompanying property appraisals sent to our seven Marae Pā Chairs and Secretaries. Uri (Registered Members of Te Kāhui o Taranaki). Marae Pā had up to 25 January 2019 to declare an interest in purchasing the DSP properties. Parihaka have formally confirmed interest in 3 properties in their rohe, and Te Potaka formally confirmed interest in the only property available in their rohe. Puniho and Orimupiko confirmed formally that they do not have an interest in purchasing the properties in their respective rohe. Hapū who are affiliated with either Puniho or Orimupiko Marae Pā were given the opportunity to declare an interest in the properties in their respective Marae Pā rohe no later than 28 February 2019. There were no hapū that declared an interest in the properties. At this point of the process we are now inviting uri (registered adult members of Te Kāhui o Taranaki) in those respective rohe to register their expression of interest to purchase the available DSPs. Uri have up to 29 March 2019 to express an interest to purchase. 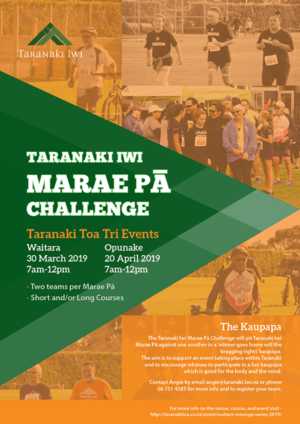 Te Kāhui have Memoranda of Understanding with Marae Pā and have made provision for assistance from agreed direct distributions already in place. Hapū and uri however must pay for any properties with their own money and/or borrowing. A ballot system will be used if there is interest from more than 1 party.